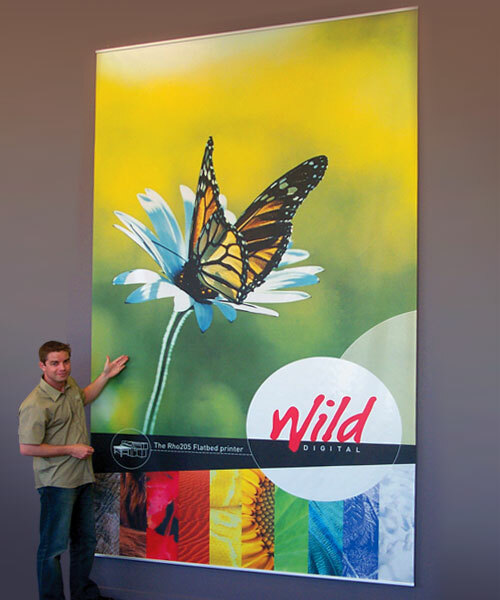 Wild Digital - Wall Hangings - fabric, yupo or banner vinyl. 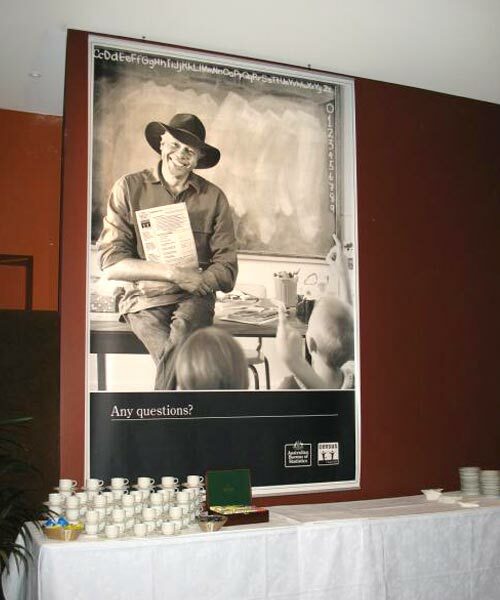 Do you have a bare wall you want to use for promotional purposes? Do you want the flexibility of being able to change the images on a regular basis? 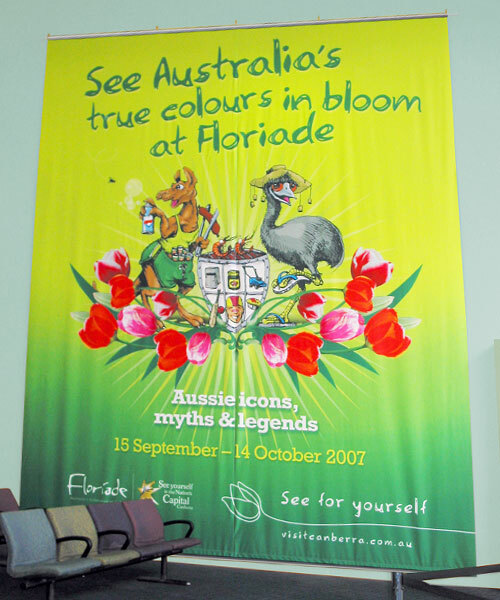 Wall hangings are an ideal way to cover a large space with easily replaceable graphics. Our wall hangings are made with yupo, banner vinyl or fabric and have snap rail top and bottom for easy, non-wrinkled hanging. Yupo is a synthetic paper made from a polypropylene resin and is extremely versatile. Yupo prints provide a high quality finish and are UV resistant and water resistant. We have a range of printable vinyls suitable for anything from tablecloth to a 2 metre by 10 metre banner to hang from a tradeshow ceiling. Any marketing or promotional banner that needs to be light and flexible can be printed onto vinyl. Vinyl is easy to transport yet makes a BIG impression when on display. We can provide wall hangings made with subliminally printed fabrics. We offer a range of polyester fabrics such as trilobal, matt and poly satin, rip-stop and extra sheer fabrics like poly vinyl.